I am so happy to be joining in the Mini Charm Mix blog hop at the Fat Quarter Shop. The Mini Charm Mix is such a sweet and simple pattern with beautiful impact. 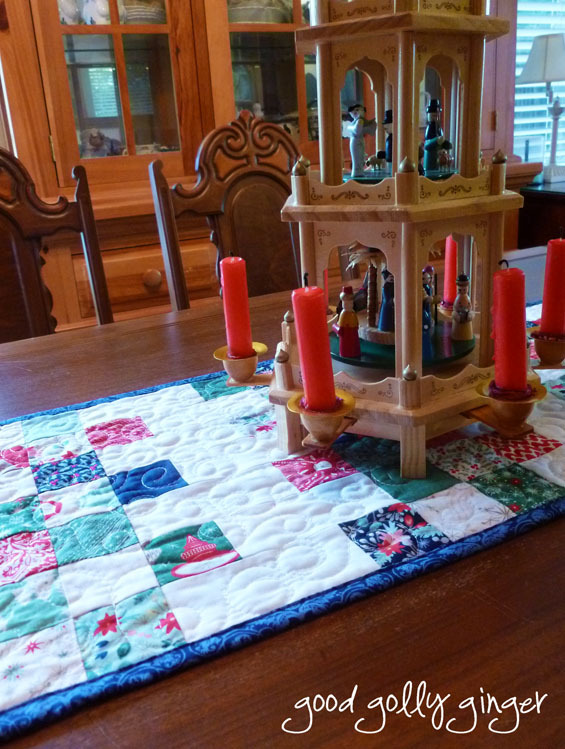 I chose to make a table runner which required three mini charm packs and one solid charm pack for the background. I used Basic Grey 25th and Pine Mini Charm Pack by Moda Fabrics and Porcelain Bella Solids Charm Pack. For the backing, I used 25th and Pine Midnight Grunge. 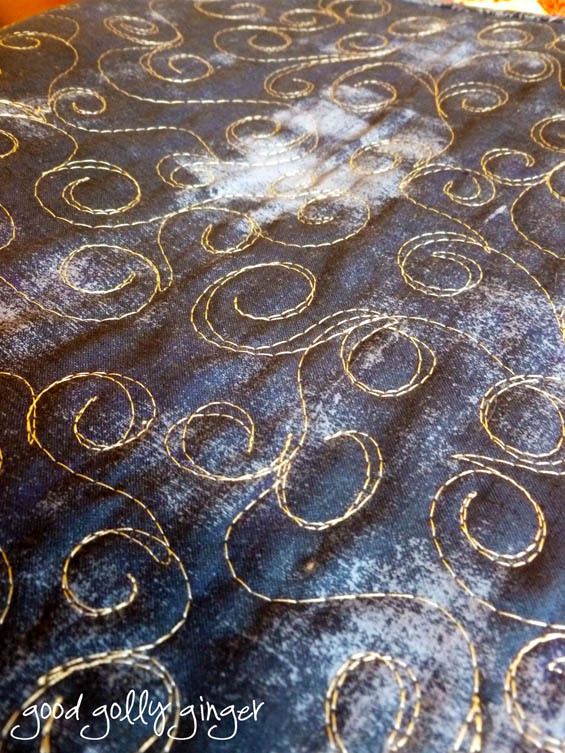 I bound the table runner with 25th and Pine Midnight Chestnut Street. I quilted with an all-over free-motion swirly swirl. That is the technical quilty term, of course. 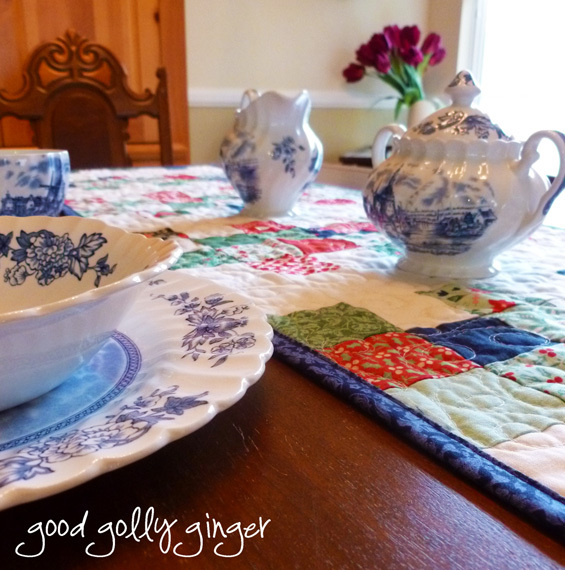 I totally love how these fabric work together, and the table runner looks absolutely lovely on my dining room table. It's perfect for Christmas. Thank you for visiting, and please take a moment to stop by the other blogs on the Mini Charm Mix blog hop. This has to stop! All this cuteness is killing me! Perfect in 25th and Pine! I've got a charm pack of it waiting for the right project, and I think this is it! Thanks for the inspiration. 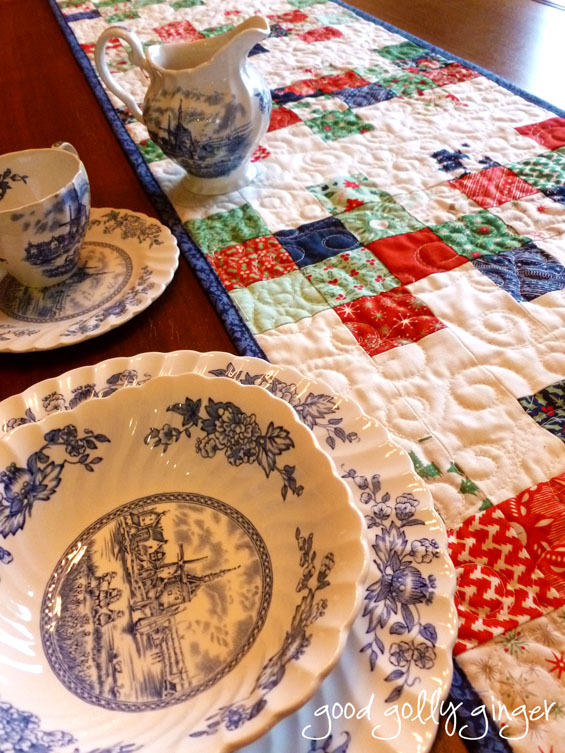 The runner looks beautiful on your table and what wonderful quilting! 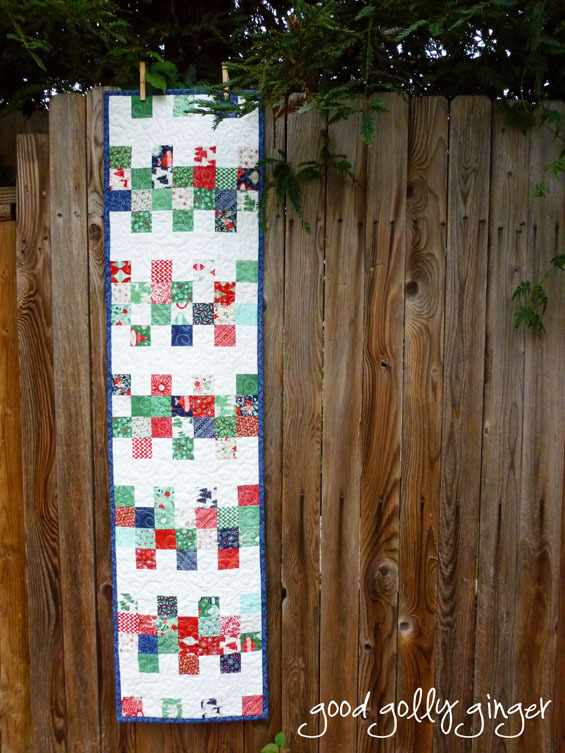 Very pretty - really shows off the fabric and your gorgeous quilting. I love it, Katie! 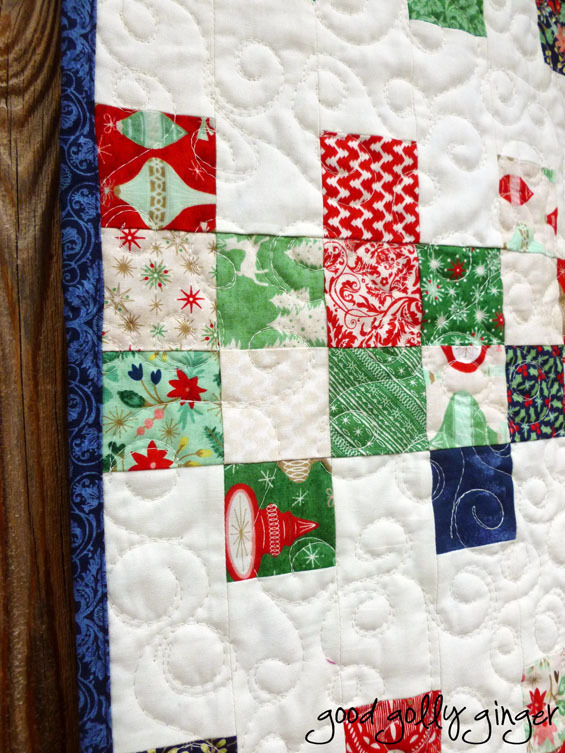 Great quilting! 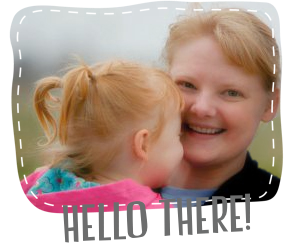 Thanks for linking up to TGIFF! I love your 'technical terms' ( I use terms like that too!) and the runner is gorgeous!